Books are an ultimate sweet escape, they are life and they are everything. Megan Sheperd did a fantastic job of wrapping things up in this final installment. 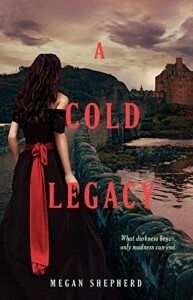 The plot had gotten more intense and suspenseful as Juliet and her friends escape from London to live in a new place out of danger, after killing all the men partaking in the King's Club who have been planning on replicating Juliet's father's research, using it for evil and inhumane purposes. However, as they relocate to an estate owned by Elizabeth Von Stein, they are yet faced with another set of mysteries that would change their lives--Juliette's life. As Juliette is met with another type of danger, bigger than what she faced during her time in her father's island. She struggles to make a choice after being introduced to another kind of scientific experimentation and uncovering the secret passageways . Juliet is forced to choose between whats right and wrong and which side she would stand and follow. I really admired all the characters, they have such strong qualities in them that make them fully remarkable. So far it did a great job of keeping me at the edge of my seat as more truths got revealed in the way and as everything comes into conclusion. This was the first book I've read of Stephanie Perkins and I'm glad to have enjoyed this wonderful story of hers filled with such inspiring characters and breathtaking romance. I love the settings and the atmosphere it brings towards you, it's an addition for making you feel delightful. Isla's character really inspired me the most, it took her a lot of courage to converse with her long time crush which is Josh and that's one of the best aspect I admire about her. Reading their story gave me so much hope as a young adult who's quite a hopeless romantic too like Isla and yet she was given that fortunate opportunity to be with Josh. So far this book taught me lessons of how life is and what consequences you have to deal with when you're in a relationship. 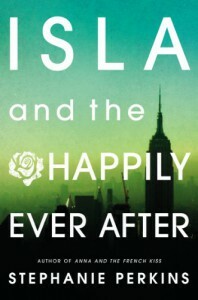 It really brought so much feelings to me as I follow Isla and Josh's fascinating journey around the world. Overall this book deserves a 5 star rating. 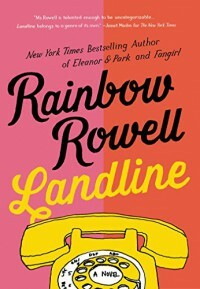 I'd come to really admire Rainbow Rowell's works. Her books just fascinate me and her characters are so relatable and remarkable. They remind you of yourself and your life as a teenager. In this novel, Rowell introduces us a story about a woman named Georgie who has a quite complicated relationship with her husband, Neal and she's determined to settle things in their relationship. When Neal and their kids leave for Omaha to celebrate Christmas, Georgie is left alone to do her job as a TV writer along with Seth who's basically her long time best friend. When Georgie visits her mom's place for dinner, she then finds a rotary phone hidden in her closet. As soon as she uses the phone to contact her husband, she discovers that the phone isn't just any ordinary phone. Instead of talking with the present Neal, she happens to communicate with the past Neal which eventually made her feel happy. Georgie also thought its probably an opportunity given to her to fix her relationship with Neal. It has such a unique love story and so far it was both heart-gripping and heart wrenching as Georgie struggles with her relationship and her life. It really touched me deep down the core especially when she gets to communicate with Neal from the past which I find really endearing. I find the magical phone aspect really cool and I thought that's what mostly made the whole story a little more unique and interesting. It also brings a life story lesson that life wouldn't be easy later on, just like Georgie who explained what life is like after having a family and eventually you'll just have to fight for what's worth. The characters may not be relatable but they demonstrate a relationship quite similar to some married couples out there which overall makes the whole story feel more realistic. I've made a review of this book in Goodreads and I thought of expressing my full opinion in regards to this amazing and spine-chilling novel. 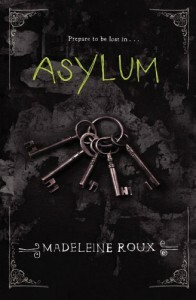 Apparently this book is the first installment for the Asylum trilogy and it takes place in a former Asylum called Brooklines which had been renovated and changed as a dorm. We have our main characters; Daniel, Abby and Jordan who eventually became friends. During their stay in the dorms, they discover a basement that keeps the history of the place they're staying in. They found out it was an Asylum for mentally ill people, mostly people who've been suspects in murdering and doing bad things. As soon as they discover the hidden history about the place, they also find out that they were somehow connected to the place. They were haunted by dreams and ghosts of the place, leading them to find and solve the answers. I really enjoyed reading it, it successfully thrilled me, sending me goosebumps everywhere. I love the eerie atmosphere it sets for the readers as it drags you along with the main characters. I love the mystery aspect, it did a great job of making the whole story gripping with thrill and tension. It will mindblow you in some parts and keep you at the edge of your seats. I gave this book a 3.5/4 out of 5 star just because it felt like watching a movie while reading this book and aside from that I didn't have much issues with this book except with the slow pace and some of the aspects from the characters which I find quite irritating. There was also an interesting foreshadow at the beginning of the story where Britt pretends that Mason is her boyfriend infront of her ex Calvin. Mason then agreed to pretend along with Britt to prove that Calvin was mistaken about Britt not actually having a boyfriend. There was a strange vibe in this part as it foreshadows that something unexpected or bad is going to happen. Basically, It's about these 2 bestfriends Britt and Korbie who's planning to camp at Teton Range for fun or leisure. Then as the snow suddenly hits the road, they got stranded and they decided they needed a place to stay. So then Britt managed to find a cabin nearby and encounters 2 guys who happily welcomed them to stay with them for the night. After a while, we learn that these 2 men are actually fugitives and they threatened Britt to lead them to their destination. However, one of the bad guys whose name is Mason showed concern to Britt which made her question if whether he's actually a bad guy or not. The whole concept of the story mostly involved trust and survival and it successfully displayed a suspenseful and mysterious atmosphere. The plot twist or irony is what really intrigued me the most, there was a development rise within the plot and the characters and it made the whole scene gripping and tensing when a lot of actions came into play especially in the near end. Like what I said, there were some certain aspects from the characters that irked me like how the main character (Britt) is so dependent and indecisive that I find her character rather complicated to understand and connect with. Same with Korbie who jumps into another guy that she doesn't know when she has a boyfriend already. Like wtf?! I somehow felt like choking her to snap out of it. Meanwhile I didn't really have issues with Mason the mysterious guy from the story, he's quiet and shows compassion at times. Other than that the settings is what made the pacing quite slow that I just felt like skimming through the pages. Overall, the story was good however not great. In the end they all learned lessons in life after the incident and this is what caused some changes in the characters' lives as they became stronger and more independent. Armentrout's books are beyond amazing. I love how she's able to combine different kinds of elements and make the whole story phenomenal and heart-gripping. 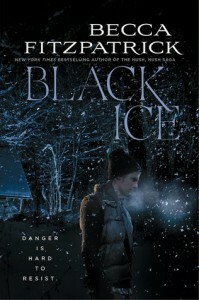 This is apparently the first book for The Dark Elements series. The premise of this book really intrigued me as I explore another reality that introduced different types of creatures. It mostly involves demons and gargoyles. There's also Roth who's an upper-class demon. His mission is to follow Layla and protect her from the demons who try to attack and capture her for a reason. Layla's life is in danger and when she found out from Roth who she really is and why demons seem to like to capture her, she and Roth teamed up on finding the one object that would stop the demons of succeeding with their main objective. Apparently, as Roth and Layla spend much time together,they find themselves drawn to each other considering Roth is Layla's first kiss. I really admire their chemistry and how they work together. Whenever something bad happens to Layla, Roth is always there for her and succeeds in making her happy. Not to mention when Layla got almost killed by Petr who despises her, Roth and his snake tattoo Bambi came to help and rescue Layla. Roth then brings Layla to his apartment to treat her wounds and injuries. I love the part where he introduced her to his 3 adorable little kittens (I forgot their names). And he also took her up to his garden because Roth loves gardening. I find the whole scene really mesmerizing to read, it feels as if Roth is showing her the other and brighter side of his world. Again, Jennifer Armentrout really did a great job of writing this story that brings out a lot of emotions from the readers. I love how she creates the characters and makes them so memorable and relatable at some point. The character's aspects, settings and plot developments were also wonderful which put an impact to the story. I felt amazed delving into a different kind of fantasy or reality and I'm looking forward of buying the 2nd book titled as "Stone Cold Touch". This sequel was really intense and I cant even put it to words of how im going to explain this book. So Mara eventually finds herself in a mental hospital after she passed out when she undoubtedly spotted Jude nearby the Police station. Unfortunately no one believes her of what she said except for Noah. Mara's mom decided to send Mara to this school filled with people suffering from different kinds of mental state. She also sees her long-time-no-see friend Jamie which caused her a feeling of great relief knowing she is not alone. Mara also comes up with a plan of how she can convince her parents that she is not mentally ill anymore and have stop receiving delusions or hallucinations. Mara is also being haunted by dreams of memories of her grandmother who has also the same ability as her. This book will totally blow your mind away to outer space as you unravel the mysteries behind and the purpose of their strange abilities. Noah who loves Mara and believes in her, helps her to piece things together and protect her from Jude who is haunting Mara and trying to threaten her as he seeks vengeance for his sisters demise. In addition, Mara and Noahs relationship was so breathtaking, their relationship eventually got more intense and steamy especially at the beach which Noah organized himself as a belated present for Mara oh my God! I definitely want a Noah Shaw in my life. Gasps! because the whole scene was beyond wonderful and amazing. 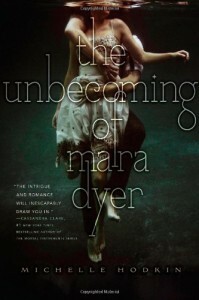 This book effectively brought a very suspenseful mood which apparently gave me the chills and goosebumps, and most parts were really freaky and shocking as Mara faces several threats in her life. I have a feeling that the last book for this trilogy would be even more intense and im highly anticipating for its release on Nov.4. I recommend this for people who loves paranormal fantasy and mystery, you wont regret it and its definitely a worth-read. I just recently finished reading the whole trilogy and it has an amazing love story in it and I was quite amused of how their society works. 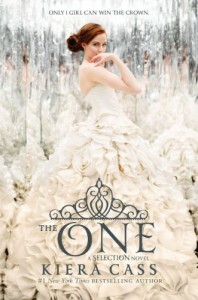 In the last book, they were all down to 6 or 5 girls and one of them in the end will be Prince Maxon's bride. Unfortunately a lot of rebel attacks from different groups occured, although we learn from this book that each groups have different motives. Southern rebels want the castes destroyed and lead the whole society instead while Norther Rebels only wants to take claim of the book about Illea's history. So apparently Northern rebels are the peaceful group and never intended to cause harm. They also vote for America to become Maxon's wife for they admire her for her compassion and audacity which the other women failed at showing. As Maxon and America's relationship develops more, a part of them still feels doubtful and neither of them is reluctant of confessing first especially America who is also struggling to tell Aspen that she no longer has feelings for him. Eventually the girls finally open up and made friends with each other, knowing where they stand and prepared to accept whoever would be Maxon's choice as his wife and the new Queen. Overall, I love how everything in this book seem organized, and how the pacing was stable. I thought it was going to be confusing at first because of the established castes they have, what each castes mean and how they work. It was a nice story wherein making wise decisions can change and affect their lives. I really hated the King's cruelty and how ignorant he is. As stated from on of America's lines that he is indeed a power hungry. He's also very controlling unlike the Queen who shows a little bit of concern and consideration. America displayed a great example of a true woman by simply being herself and defending others who she believes dont deserve to be punished. She puts herself first before others and brings true justice which I find impressing. I can't imagine living in this kind of world where in everyone has castes or ranks they belong to which pretty much makes everyone unequal and pityful especially bottom castes such as 6,7, and 8 struggles with their life of having a nice lifestyle and stable family for they face the difficulty of being paid less. I'll have to admit that this story was well written and very creative like how the mood of the story actually affects you. 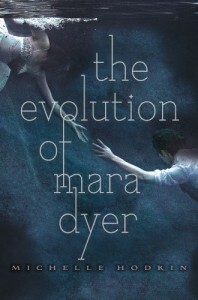 It gets more mysterious as Mara struggles to remember her past and figure out about her strange abilities. It gave me goosebumps whenever she sees the ghost of her deceased friends at times. So the whole summary or plot of the story is about a girl named Mara who transfers to Florida after the accident she's been involved in and she meets this guy named Noah and somehow he has the same ability as her but in a different way. Noah is an ominous guy, he can sense if something's going to go wrong and is capable of knowing someone's feelings. Contrary to Mara who has the ability to murder people through her imaginations or thoughts. Whenever she gets upset, she starts picturing the thought of how that certain person would die and they would die the exact way she imagines it. Now Noah is determined to help her and find out what caused them to possess such strange abilities. And as more eerie occurrences happen, the more Mara discovers more of the truth that lies behind all the mystery. The whole story line made me feel intrigued and I also admire the characters aspect. Its the type of story in which it would keep you reading for hours and would provide you plenty of thrilling suspense all the way till the end. 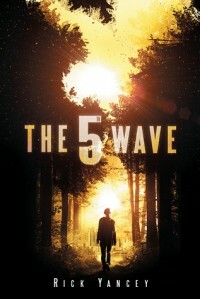 The 2nd sequel for 5th Wave is yet another fascinating story, the plot rise did a successful job although pacing was stable. I love the story's aspect, how you get to know more about the characters and their past, mainly Ringer and Poundcake's. Giving us a important glimpses of the difficulties they've experienced in their lives before and what changed them into stronger individuals. After all of them made their way out from Camp Haven, they struggled living their lives hiding in an old hotel where there were rats everywhere. Ringer decided to depart for a few days to search for something important. This leaves Ben, Cassie, Dumbo, Sam, Poundcake, and Teacup together as they wait for Ringer to comeback. Cassie still clings of the hope that Evan Walker will find her one day to fulfill his promise in which he actually did later on. He went through risky situations and struggled escaping from Grace who is apparently like him and suspicious that Evan was hiding something big from her . This story involved a lot of survival instincts and this made me feel impressed with how the characters handle the situations using their instincts and how they propel themselves to go forward through tough situations and become more valiant. I thought this was one aspect that I admire most from the characters in the story and which brought them strength in their lives as they work together. The deeper you dive into this book, the more secrets and shocking information you'll find that will blow your mind, which is why I find it hard to stop reading. Later on, the whole POV shifts to Ringer's, she was basically kidnapped and brought in another camp where Vosch continues his evil plots. Ringer meets Razor and later on he helps Ringer escape Vosch's territory along with Teacup. The end was quite a cliffhanger so I'm anticipating for the 3rd book but overall this 2nd sequel was great and mindblowing. In the most sensual and fast-paced installment yet, Sweet Reckoning brings all the beloved Neph together one last time to fight for their freedom"
The last book from Sweet Evil's Trilogy was definitely worth reading and amazing, my feelings are just ineffable, I cant.. The last sequel had really caught me off guard. There were some scenes that made me feel so emotional because almost everyone's lives are on the line and they need to find a way to defeat the Dukes by making them choose which side are they going to pick; Heaven or Hell. Using the Sword of Righteousness, Anna must figure out how to access the greater power from it. Basically, there was a higher suspense in this story as the characters struggle with keeping their relationship safe from their fathers and the Legionnaires or what they call the demon whisperers while they try to solve the inevitable conflicts that's likely to happen in their lives once they get caught. Also, I really love the fast pacing and how each chapters displayed intriguing moments. Anna and Kaidan also got married somewhere in the middle of the book and it was such a lovely and emotional scene. I love where their wedding took place and how they spent their time together. It was one of the most romantic moments in the book, they did have a lot of steamy moments too and it was just so passionate to read. At the end of the book, they eventually received their freedom and they've built a great family, having tons of children and getting married. 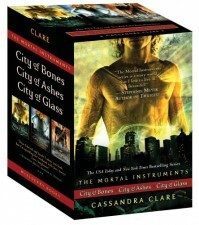 I honestly have no words for Cassandra Clare, she is one heck of a magician when it comes to writing her books. I admire her aspect of writing, how she has multiple of creative ideas to write down. I also find it amusing how her story has full of humour into it which apparently makes her characters admirable in a way and the story's atmosphere comedic. I love how she plots the story and doesn't only focus in one subject matter. Mortal Instruments basically has a complex storyline that readers would definitely find intriguing and would make them desperate to know more. Reading the whole series felt like discovering and diving into a different world or reality that would make you want to stay and read the story incessantly. The story did have some weird plot twists especially in the beginning which flustered me and there were certain parts that would literally throw you off from your seat in both good and bad ways. At first I thought the whole story only involved shadowhunters and demons but there were more creatures that took part throughout the series such as werewolves, vampires and faeries which I find more compelling. The story's development gradually increased and became better than I expected, making everything more intense and powerful as the main characters confronted tough challenges that surrounded their lives. I also love the vitality and audacity of the characters in Mortal Instruments. Each of them prove that they're capable of something to protect the ones that they love. Take Jace Herondale for example, the bravery and courage he displays in his role to save the significant people in his life against the dark and evil forces. Not to mention, there were also homosexual scenes and romance between some of the characters which I find new and amusing and don't get me wrong, I may not be a fan of homosexual matters but doesn't mean I don't support them. This is one of the many things I found unique about the series, there's multiplex relationship going on. Cassie makes everything seemingly real and different the moment you start reading her stories, it brings a great atmosphere to the readers considering how a bunch of different things exist in her books without the occurrence of cliches. I actually liked this sequel better than the first book. Anna and Kaidan's relationship's finally got official. There were a lot of steamy and romantic scenes between them and I just can't drop the book. I love how Kaidan chases her in the airport and finally took the courage of spending the time with her before its too late. I also love how this sequel sets off a more suspenseful mood compared to the first book and the characters' development improved a lot. I love how Anna became much stronger throughout the story and had demonstrated bravery protecting and defending the people that she loves. She might not be that innocent anymore compared to the first book but she keeps her limits and at the same time she continues showing compassion towards the other people. So overall, this sequel got me really excited because it had more suspense and action in it and a strong plot development. "Since the beginning of mankind, civilizations have fallen: the Romans, the Greeks, the Aztecs...and now us. Huge earthquakes rock the world. Cities are destroyed. But something even more awful is happening: An ancient evil has been unleashed, and it's turning everyday people into hunters, killers, and crazies. This is the world Mason, Aries, Clementine, and Michael are living in--or rather, trying to survive. Each is fleeing unspeakable horror, from murderous chaos to brutal natural disasters, and each is traveling the same road in a world gone mad. 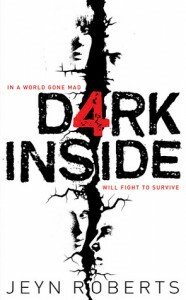 Amid the throes of the apocalypse and clinging to love and meaning wherever it can be found, these four teens are on a journey into the heart of darkness--and to find each other and a place of safety"
There are 4 main characters in this story with different POV's ; Aries, Clementine, Michael, and Mason. The story had started off really nice and it continued with a thrilling suspense all the way. The world started collapsing and people all over the world lose their sanity, changing them into a different kind almost like a zombie creature turning violent and killing people who appears on their way. However, there were people (mostly teens) who survived from different areas and are now fraught with peril as they journey to find other survivors to create a larger group. This book filled me with so much excitement and interest as I read the perspectives from different characters and how they have different views of the apocalyptic world.I love all the characters in the story so far for they bring strength and hope in them as they carry on with their lives. I especially adore Aries's role in the story because of her great leadership and because of her selflessness, she cares deeply for her friends and is willing to risk her life to save those ones in trouble. The setting of the story is another element in which it made the whole reading atmosphere seemed realistic and a bit more suspenseful. The whole world was in devastation and living in chaos, seeing most people turn into what they call 'Baggers' or crazies and tt was kinda creepy knowing how people turn into one, it's like an inner demon possessing and manipulating both their minds and bodies by whispering words to their heads commanding them to do bad things. Overall I think the story was well-written considering the shift of point of views from the different characters and how they strive to survive the ordeal. They eventually intersect paths with each other and help one another in the end. 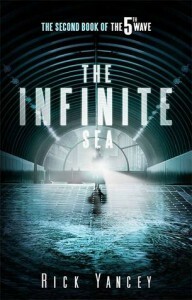 There's more to this story so I highly suggest people to read this book especially if you're a fan of post-apocalypse. The setting stayed at one area and the character's didn't really grow on me. Dont get me wrong, I like how this book is different from the rest that Ive read and it's my first time reading a book about mermaids tho it didn't quite end well and it wasn't really worth that much time. The book is about this girl getting rescued by a merman who falls in love with her throughout the story. The shipwreck was all set up by the sea witch named Sephie and she wanted to get Miranda's soul and by doing so, she orders Christian to kill her in exchange for his sparing his own life. Overall, the book wasn't bad but it could've done a better job by adding more mystery that would provide lots of reactions for the readers and also romance scenes that would captivate readers hearts. I have not read much Sci-Fi novels besides The Lux Series by Jennifer Lynn Armentrout which left a mark on me. So after reading another sci-fi novel that talks about alien invasion I was really amazed in how it was written, it felt almost realistic and terrifying at the same time while reading this book and it was so far one of the most remarkable novels that Ive read and it was totally worth reading. I got bored in the first few chapters because I thought Cassie the protagonist of the story was only meant to talk about her past and I was kind of skimming through the pages, waiting for something new to happen. But then i love how the pacing of the story increases into getting really intense considering how their world is now full of Aliens because of the waves that hit the earth; 1st wave: Lights out, 2nd wave: Surfs Up, 3rd wave: Pestilence, and 4th wave: Silencer. Cassie can't just trust anyone because Aliens from this story have taken the form of human bodies. I adored all the characters especially Cassie because of her strong spirit and determination even when everyone in her life have already perished away and yet she still keeps going, determined to save her 'kidnapped' brother. She also meets Evan Walker, a mysterious guy who's also known as a hunter, he eventually found Cassie from the snowbank, saved her and took care of her. He did develop feelings for Cassie after a while and the whole romance was really unexpected and quite astonishing. Yes I love when a book has a combination of romance but I just did not expect to find it in this book which was a WOW for me but I loved it anyways although I wish they got to know each other more. There's also Ben Parish who's addressed as Zombie and whose point of view was also written in the story and he's basically trained to become a soldier and fight aliens. Him and Cassie knows each other but not in a close way. Both him and Cassie's point of view are important in the story because you get to know what's actually going on and what's about to happen. I have to admit that this story was well-written especially in Cassie's POV, I found myself bawling several times when she had to suffer seeing important people in her life dying and it was just devastating. And also, "METAPHORS", I l really love metaphors and in this book there was a lot of meaningful and touching metaphors from each end of the chapters and it was truly unforgettable and it gives more strong definition towards the main characters.